Guru Purnima Slokas are the best way to wish your teachers and gurus very very Happy Guru Purnima. You can check out these awsome Guru Purnima Slokas in Hindi, English and Sanskrit. Guru Purnima is an Indian festival celebrated in honour of the Gurus for imparting the immense wealth of knowledge and wisdom. Guru Purnima is a popular event celebrated by Hindus, Buddhists, and Jains in India and Nepal. This year we are celebrating Guru Purnima on July 27. 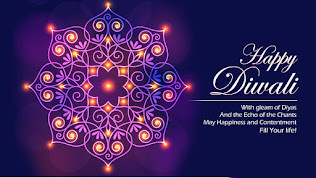 Here in this post, we have shared a large collection of Guru Purnima slokas and dohas in Hindi, Sanskrit, and English with Images. गुरु-चरणों में बैठकर, गुर जीवन के जान. कथनी-करनी एक हो, गुरु उसको ही मान. गुरु तो गिरिवर उच्च हो, शिष्य 'सलिल' सम दीन. गुरु अनुकम्पा नर्मदा,रुके न नेह-निनाद. Guru and God both appear before me. To whom should I prostrate? I bow before Guru who introduced God to me. May Guru's blessings always shower on you. Happy Guru Purnima! 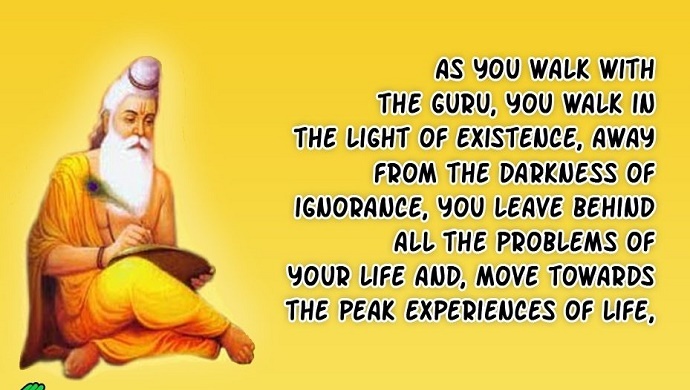 Today is the best day to pay tribute to your Guru, On the auspicious day of Guru Poornima, make an oath to your life to follow the steps of Guru. Gurus are an indispensable link between ordinary mortals and God. May you find a true guru to take you to the path of spirituality. Teachers are parents in school and I am blessed to have both of them. Happy Guru Purnima! Guru is Shiva sans his three eyes, Vishnu sans his four arms, Brahma sans his four heads. He is Parama Shiva himself in human form – Brahmanda Puran. There is no deity superior to the Guru, no gain better than the Guru’s grace … no state higher than meditation on the Guru. – Muktananda. माँ-बाप की मूरत है गुरु; कलयुग में भगबान की सूरत है गुरु! 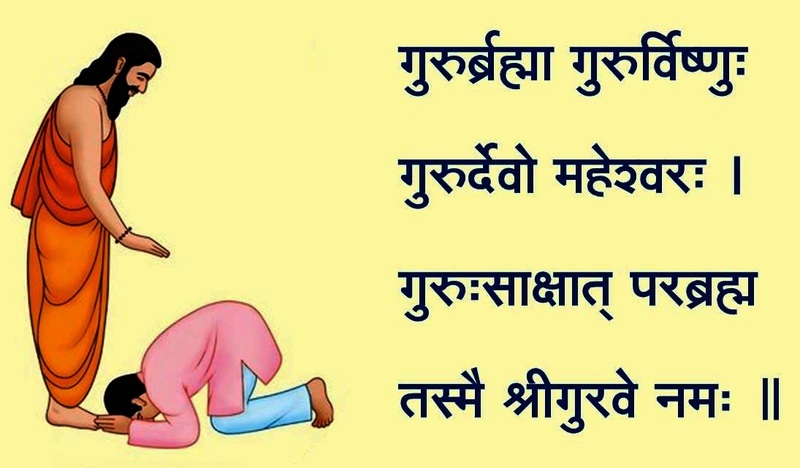 शुभ गुरु पुर्णिमा! He is parama Shiva himself in human form. गुरु पूर्णिमा की हार्दिक बधाई! When one finds the true Guru, one conquers half the world. Thanks for taking me as your disciple! 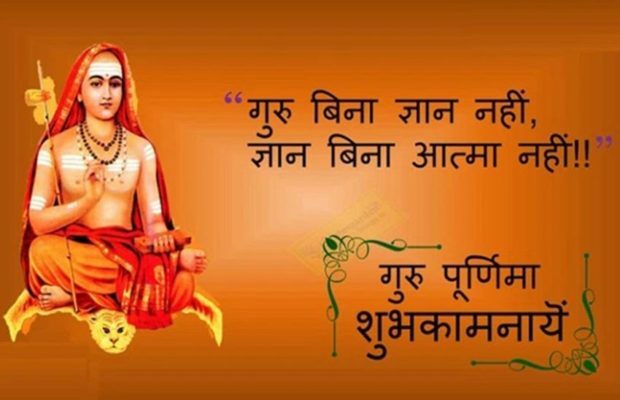 Happy Guru Purnima 2018!. Thank You Reading this article, don't forget to share it with your friends on Social Media Accounts.